The symbol of Kagoshima is Sakura Jima – the volcanic island that sits just offshore. The volcano has erupted over 30 times in recorded history. The oldest Chinese reference to Taiwan dates back to the Han Dynasty in the 3rd century B.C. 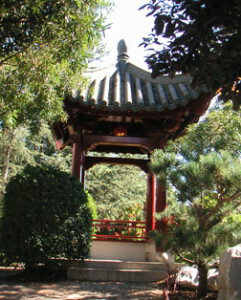 However, it wasn’t until the 17th century A.D. that Chinese Hakka traders first settled on the island. These bold merchants were soon followed by European and Asian adventurers seeking to control and colonize the strategic island. The most famous migration of all occurred in 1948, when the government of the Republic of China fled the mainland. 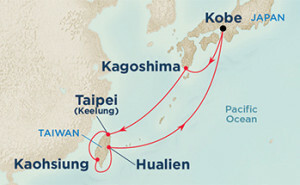 Taipei is Taiwan’s capital city and one of the world’s most important commercial centers. 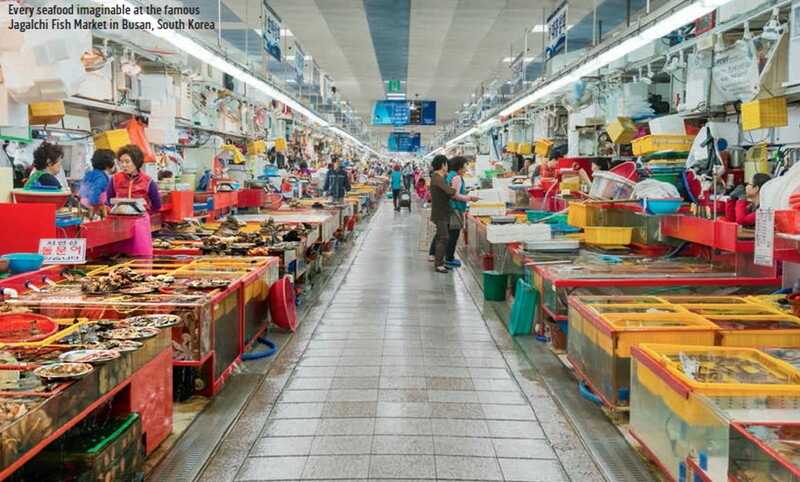 Despite its turbulent history, Taiwan today boasts an economy that is the envy of the world. 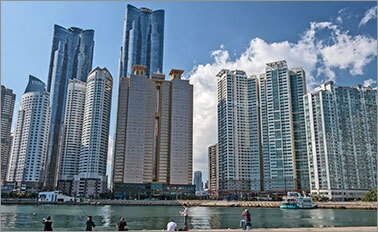 Modern Taiwan is a world leader in the production of bicycles, computer chips, plastics, chemicals and computer notebooks. 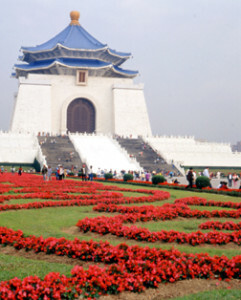 Taipei is a sophisticated modern metropolis that has not forgotten its rich traditional past. Kobe is the fifth-largest city in Japan and is the capital city of Hyogo Prefecture on the southern side of the main island of Honshu. Its name comes from “kanbe”, an archaic title for supporters of the city’s Ikuta Shrine. With a population of about 1.5 million, the city is part of the Keihanshin (Keihanshin) metropolitan area along with Osaka and Kyoto. The earliest written records regarding the region come from the Nihon Shoki, which describes the founding of the Ikuta Shrine by Empress Jingu in AD 201. 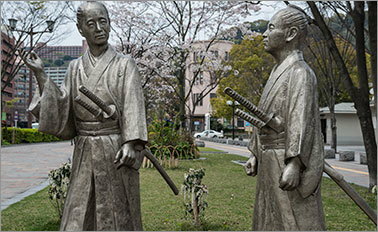 For most of its history the area was never a single political entity, even during the Tokugawa Period, when the port was controlled directly by the Tokugawa Shogunate. 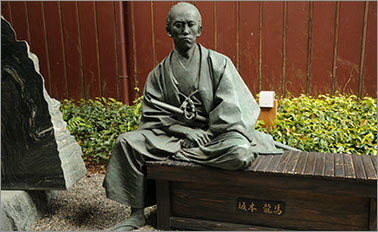 Kobe did not exist in its current form until its founding in 1889. 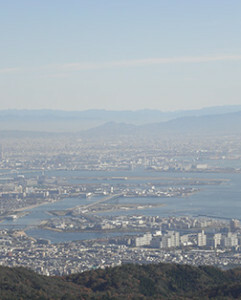 Kobe was one of the cities to open for trade with the West following the end of the policy of seclusion and has since been known as a cosmopolitan port city. While the 1995 Great Hanshin Earthquake diminished much of Kobe’s prominence as a port city, it remains Japan’s fourth busiest container port. The city is the point of origin and namesake of Kobe beef as well as the site of one of Japan’s most famous hot spring resorts, Arima Onsen. 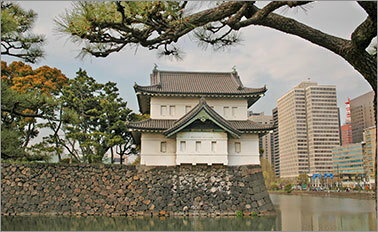 Kobe is also your gateway to Kyoto, Japan’s ancient imperial capital and the nation’s cultural and spiritual center.